Hi Jessica and Gabby, the Fertility Festival will take place at The Barbican from 23rd April until 18th May. How are you both feeling ahead of the event? We can’t wait to get going and share what we have been planning with people – those trying and struggling to conceive, people making families in different ways, people who haven’t even thought about having a family yet, those who are at the end of their fertility journey with a baby or not, doctors, embryologists, nurses and the general public. This topic affects everyone regardless of who you are and what your story is – and we are excited to share our amazing artists and experts on a world class stage. But there’s only 2 of us who run the company and over 200 artists and experts so every now and again we also feel a little frazzled! This will be the festival’s 3rd edition, focusing on modern families and fertility. What have previous responses been towards the festival? The first festival was more of an experiment. One day in Birmingham and London sitting alongside a theatre production of The Quiet House written by Gareth Farr (about a couple going through IVF inspired by his own experience). We wondered whether anyone would be brave enough to step through the door, but once they did, it was obvious what a perfect environment for discussion and support we had created and there was nothing quite like it. Our second festival was at the Bush Theatre and grew in size and also in the themes we were discussing. Year 1 focused more on IVF and the emotion of going through treatment. In year two we also looked more widely at different ways of making families and who is making families e.g. The Queer Family for the LGBT community, the science from the perspective of the child and also the future of fertility science and the ethics surrounding this. In our third edition of the fest – The Barbican spaces allow us to go even bigger and we hope we are tackling most if not all of the issues surrounding this subject and although we feel we have made a difference in getting people to talk more about infertility, we are also making sure we look at the less talked about subjects such as race, religion and reproduction and premature infertility in young people. What inspired you both to focus on the concept of fertility? Gabby went through 4 rounds of IVF and now has twin girls and Jessica went through 11 rounds of unsuccessful IVF treatment. Gabby was producing The Quiet House and Jessica had the idea for an arts festival which focused on all things fertility. It made sense to work together – with our passions for the arts and for helping the world talk more about difficult subjects such as infertility. What keeps us inspired is how we are seeing tangible changes – such as our amazing partner clinics who are working with us to change their practice to support the emotional journeys of patients struggling to conceive. The festival will consist of various performances and discussions centred on fertility. How is it decided what will make the final line up? Over the three years we have built up quite the reputation for the place to go if you are making work or interested in making work about anything fertility related. Jessica takes a lead on curating the festival and spends hours meeting with artists and seeing their work. And she always gets excited about it – hence having SO many people involved. What tends to happen with work on this subject is that it’s often totally unique, moving, often funny and always always interesting and brave so it’s a privilege to give a platform to share it. What can audiences expect from this year’s festival? Our programme is jam packed with something for everyone. Whether you are a young person who hasn’t even considered having a family – there’s our Modern Families Campaign – to challenge what’s being taught in schools about fertility. If you are considering a life without children for any reason there’s the More to Life than Children Day, a focus on LGBT+ families in our Queer Family Event, The Gift Family Event for parents and children born through donation and surrogacy, Our Trying to Conceive Day for people struggling to get a double line, Parenting After IVF for those who did get the double line and the What Comes First the Career or the Egg Day for those who just don’t know what to do or what their options are. And for a bit of everything there is our Big Fat Festival Day which opens with Lisa Faulkner and Izzy Judd talking about their experiences of struggling to conceive and a whole mix of performances, film screenings and debates. We are also going to Fertility Show Manchester and London and ESHRE Vienna – biggest industry conference in the world so taking our work nationally and internationally. We would love people to come away having learned something new, realised they are not alone and reflected on themselves, whoever they are, through a unique shared experience. 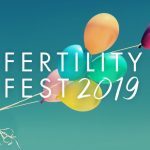 In regard to the two previous festivals, do you feel that there is a greater awareness of the complex topic of fertility within wider societal conversations had? Yes – we feel it’s definitely part of the current zeitgeist and we hope to think we might have had a little to do with this, from IVF storylines in soaps to Private Lives on Netflix, Michelle Obama coming out that her kids are IVF and the National and other high-profile theatre venues staging work about fertility and infertility. And we are excited that the Barbican have programmed our festival as part of their Life ReWired season and are also co-producing a new play with us and Sydney Theatre Company which is an adaption of Julia Leigh’s IVF memoir Avalanche which will be performing on the main stage alongside the festival in April and May. What advice would you give to any aspiring theatre festival creators? Go for it. It might feel overwhelming at times, but being able to create a platform for other artists to share work and build a community of people who are creative and inspire debate is a powerful thing. We definitely feel like running the festival for a number of years has allowed us to learn from our mistakes and really reflect on what and why we are doing it to allow us to keep relevant and current. We have learnt about building audiences from scratch, working with partners from an entirely different industry (science and art really is a match made in heaven when you get it right), taking risks and going big whilst holding our breath. It certainly hasn’t always been easy, and the two of us are feisty women who have often come to blows on a difference of opinion, but talking with honesty and clearing the air helps you get back on with the most important thing – getting it done! And there’s a LOT of love in the room. We also couldn’t do it without the support of 9 fertility clinics, our partner organisations, our artists, experts and chairs, our fertility heroes and steering group and the Barbican, Wellcome Trust and Arts Council who are brave enough to support something which until recently was misunderstood and taboo. So it’s not really 2 of us. There’s squillions of us really. And that feels amazing.